If the alarm is activated your network is alerted quickly with simultaneous alerts to as many people as you choose and phonecall alerts via GSM. 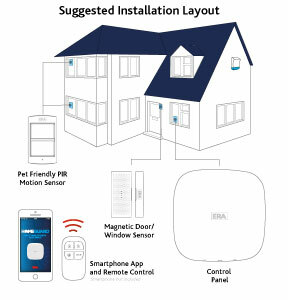 You can also expand the kit at any time with additional accessories to include multiple PIR sensors, IP Camera's, water and vibration detectors. Plus as the system is cloud based, you can access the alarm hub from anywhere, anytime with your App controlled via a Smartphone. With Lithium backup battery you can also be sure that even if there is a power outage the property is still protected. The ERA Homeguard Pro is also compatible with the LightWave range of lighting, heating and power solutions for the perfect smart home experience. 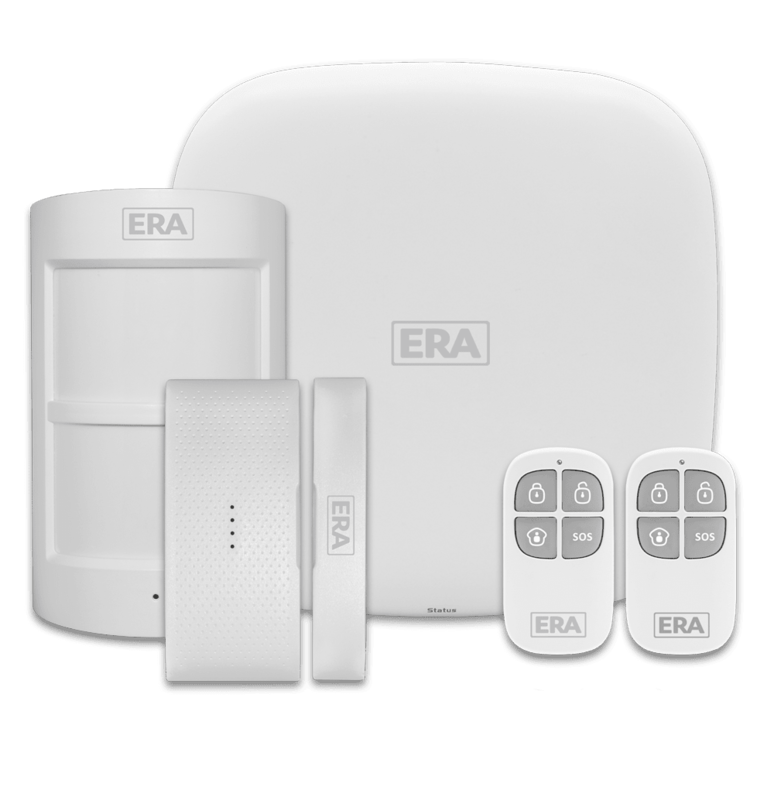 You can build on your ERA HomeGuard Pro Smart Home Alarm kit by added Siren/s and a wide range of accessories. Note: A maximum no. of accessories can be used per kit. For the ERA HomeGuard Pro the maximum number of accessories is 50 Sensors, 10 Remote Controls and unlimited IP Plus Cameras. To register your interest in ERA HomeGuard Pro and receive further updates about the product, please complete your details below.